Turquoise mines have been in operation across the world for thousands of years. Since the stone was first discovered, it has been revered by civilizations – some of which built entire industries on the back of turquoise stones. At turquoisemines.com, you’ll learn more about mines from around the world and what kind of turquoise they produced. The mines where the stone is pulled from play a huge role in both the characteristics and value of the stone. For instance, stones found in Persia are known throughout the world for their vibrant, robin’s egg blue color. The color and composition of the stone is a direct result of the levels of copper and other minerals within the turquoise mines. Throughout history, cultures have put a high value on turquoise stones. The Aztecs made incredibly detailed masks and other adornments and operated some of the oldest turquoise mines in North America. The stones they used were found in Central Mexico. 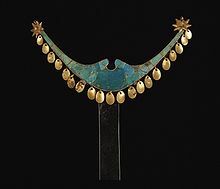 In what is now known as the Southwestern United States, Puebloan tribes mined turquoise and considered it a crucial commodity that held immense spiritual value and was also the source of trade. The Ancient Egyptians also mined the stone and used it to adorn the highest members of society. The stone was carefully carved and inlaid in burial masks and other ceremonial jewelry. Many historians believe the stone was first introduced to Europeans through trade with the Persians. Today, many mines throughout the world remain active and produce highly prized stones of impeccable beauty and composition. This can clearly be seen in many pieces of turquoise jewelry and art that is sold around the world today. At turquoisemines.com, you’ll learn more about the storied history of mines all over the world and which ones remain important today. From across the globe to right here in the United States, you’ll find out which mines are producing the top stones and what makes those stones so valuable. Turquoise stones are unlike other stones because of the diversity and array of qualities that truly make each region unique. We’ll provide interesting facts about turquoise mines and the types of turquoise stones they produced. For instance, the Bisbee Turquoise Mine is well known for producing Bisbee Blue, one of the more expensive and sought after stones known for its unique coloration. The Kingman Turquoise Mine is another well-known Arizona mine. It is also one of the oldest on record and archeologists have discovered ancient mining sites used by the Navajo and other Southwestern tribes. Another famous Arizona mine is the Sleeping Beauty Mine in Globe. This location is well known for producing impeccable quality turquoise stones with little or no matrix. Copyright © Turquoise Mines 2019. All Rights Reserved.